Every head in the room nodded in silent agreement. If your church wants to invest in the next generation of ministers, a ministerial internship is a great way to do it. Small church internships have a lot to offer both the intern and the church. But they have to be done right. If not, they’re a nightmare. We need to measure what we can manage, but let’s not fall into the trap of thinking we have more control than we do. We don’t measure the things that matter. We measure the things we manage. We need to remember how devalued we felt when previous generations told us our music was too loud, our clothing was silly and our questions were inappropriate. Why don’t people wear their Sunday Best for church any more? A lot of older churchgoers (that is, my generation) seem to be worried about that lately. I’d like to respond to that question with a couple of my own. Mondays can be tough for pastors of struggling churches. But Christ is with you. And he has good news. Was yesterday a tough Sunday, pastor? You did everything you know to do. You prepared, prayed and studied all week long. A couple days ahead of time, you got in touch with volunteers to remind them this was their Sunday to teach, sing, usher, and so on. 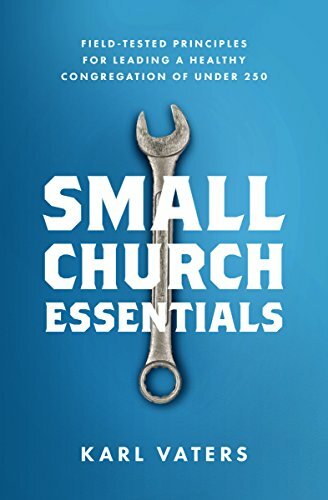 Most small churches would love to have interns. But how do you overcome that massive initial step of getting your first intern? A lot of recently unchurched people are like some of the rowdy kids in school. They’re ditching because they’re not being challenged. We need to stop whining about people’s lack of commitment to our churches and give them something - and someone - worth committing to. The so-called good-old-days when a person committed to a church, then stuck with it no matter what, have come to an end. But many churches don’t know it yet. I’m not a podcaster. But I’m becoming an avid listener. If you’re a podcaster looking for an audience, I’m the kind of person you’re looking for. Someone who wants great content and will come back for more once I find it.